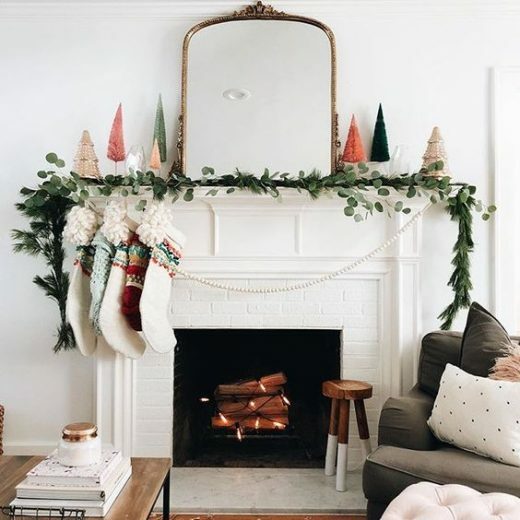 creative ways to display garland for a festive, christmas look. 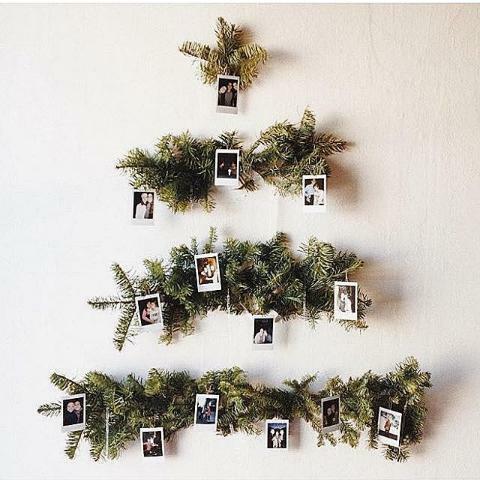 Today I have some creative ways to display garland in your home. I am a huge advocate for garland! 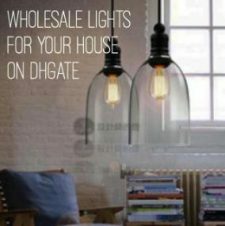 It can literally make any room of the house feel festive and special. 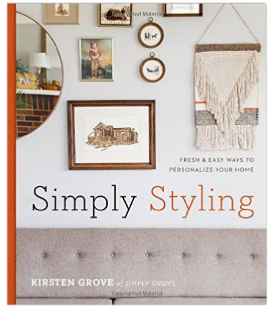 It brings in color and holiday texture and takes a room from being boring to being awesome! Also, it’s no longer just for the mantel. You can use it in so many ways. 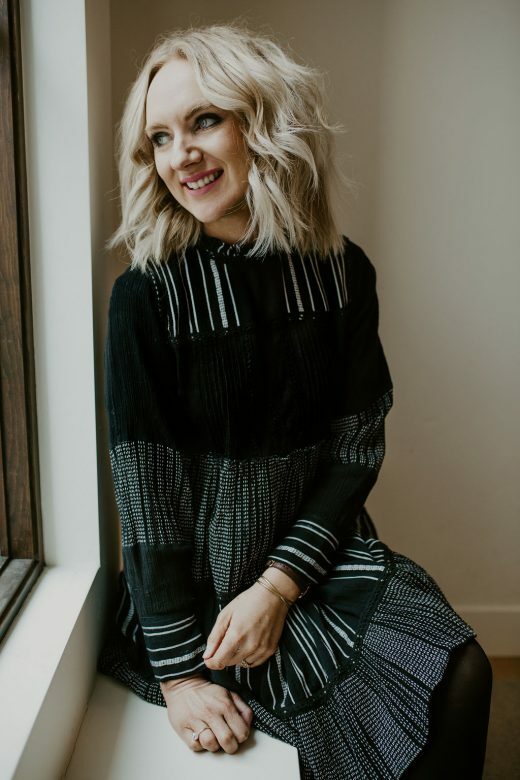 I’ve gathered a few of my favorite ideas for you. Drape it above your windows by simply tacking them. 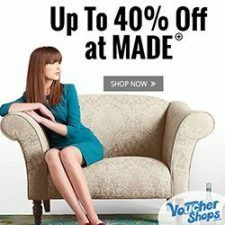 It creates a beautiful look and can easily replace drapes. 2. 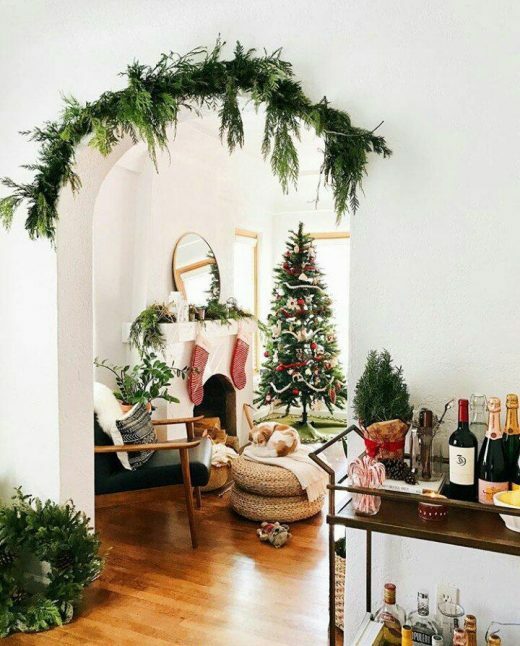 My favorite look is draping garland over a doorway or entryway. You can add lights for an extra special twinkle. 3. 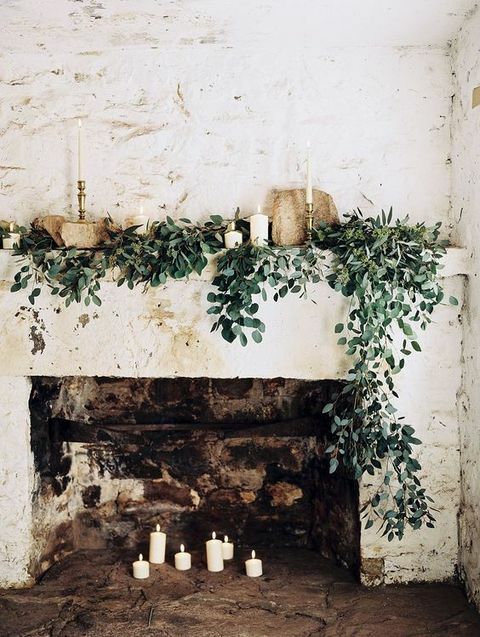 Instead of using the traditional cedar garland, try using something like olive leaf or eucalyptus garland. It will create a fresh and organic look. 4. 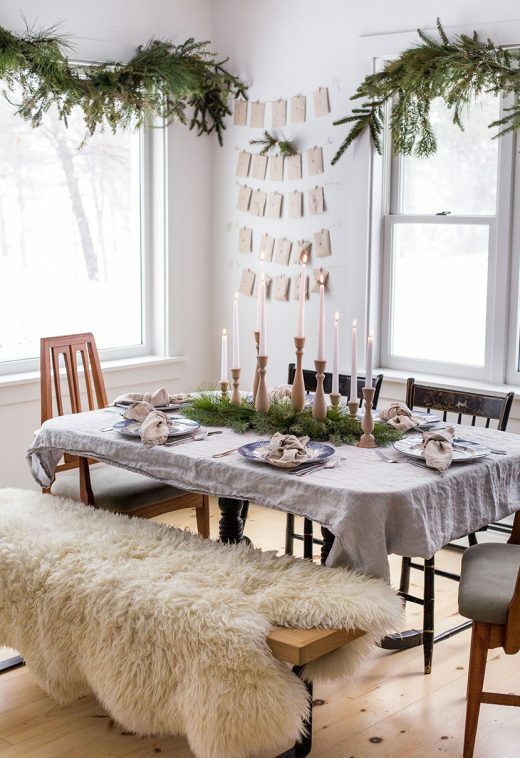 This is a creative way to use garland and create a statement piece on the wall. 5. 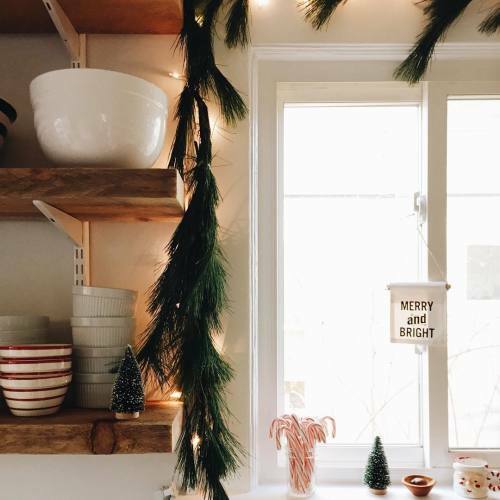 Dress up your kitchen by adding garland around the window or over your cabinets. 6. 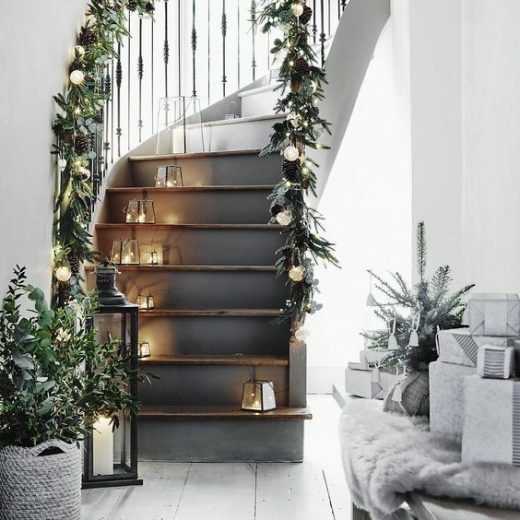 Draping garland down your stairwell is always a good idea! 7. 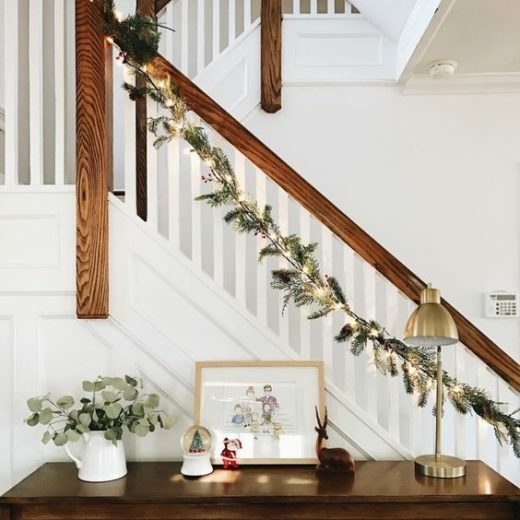 Take it a step further and add ornaments and lights to your garland. 8. 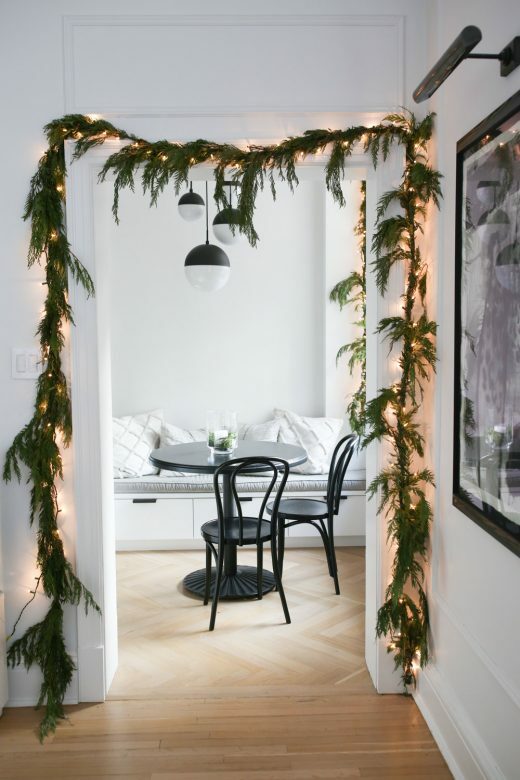 You can always add garland to a rounded doorway! 9. Mix in pastels and fun colors in your garland for a modern look. 10. 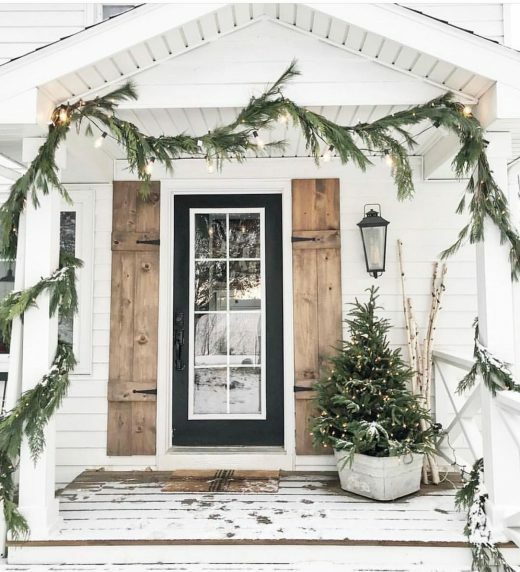 Of course adding garland to your front door entryway is a winning look!